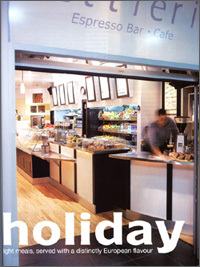 The Lettieri Family has been at the forefront of quality and innovation in the café sector for 12 years. We have built our reputation by bringing Italian espresso cafés to different communities in Southern Ontario. 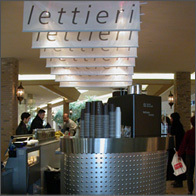 In 1991, the first Lettieri Espresso Bar Café opened for business in Hazelton Lanes, Yorkville. As well, the central kitchen was established in 1992 which produces all the quality food served in all the Lettieri locations. As we stride into the future we see new and exciting opportunities that lay ahead for the Lettieri Family. Our mission is to create the finest food and provide the highest quality service for a fair price. Using this philosophy we are constantly evaluating every aspect of our business in order to enhance our customers' experiences and implement innovative methods of improving our business. Lettieri Espresso + Bar © 2004 All Rights Reserved.